BUENOS AIRES, ARGENTINA - AUGUST 10: Timelapse of traffic passes by on August 10, 2014 in Buenos Aires, Argentina. hd00:09Timelapse of E5 Road, a traffic nightmare. Istanbul has the second worst congestion in the world, with the average journey taking 57 percent longer compared to less traffic on the road. 4k00:10Cars and trucks travel along a major U.S. roadway. hd00:13Night high speed. Time lapse of highway at night. The cars are moving upon the inclined road very fast. 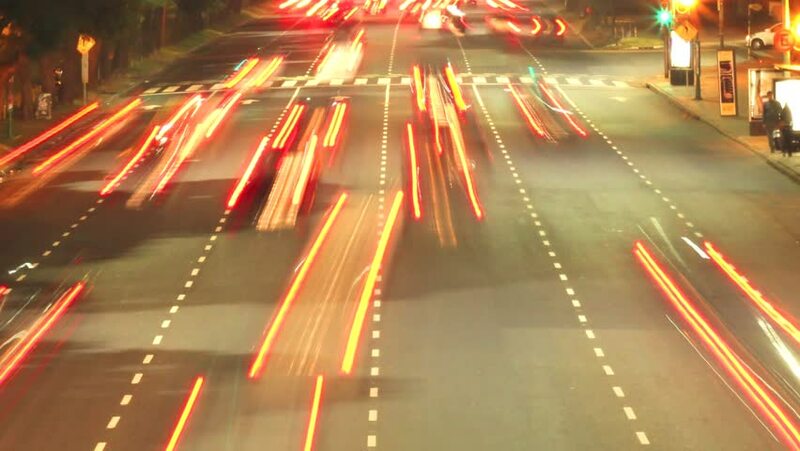 It is rush hour and the car lights are blurred and looking like bright lines.